When you stay at our hotel, it's more than just a place to sleep, it's a meeting place. We work hard to ensure you enjoy our warm and friendly atmosphere and have a unique trip. Make yourself at home with us. The ibis Nantes Treillières hotel is located at the Nantes-Rennes intersection. 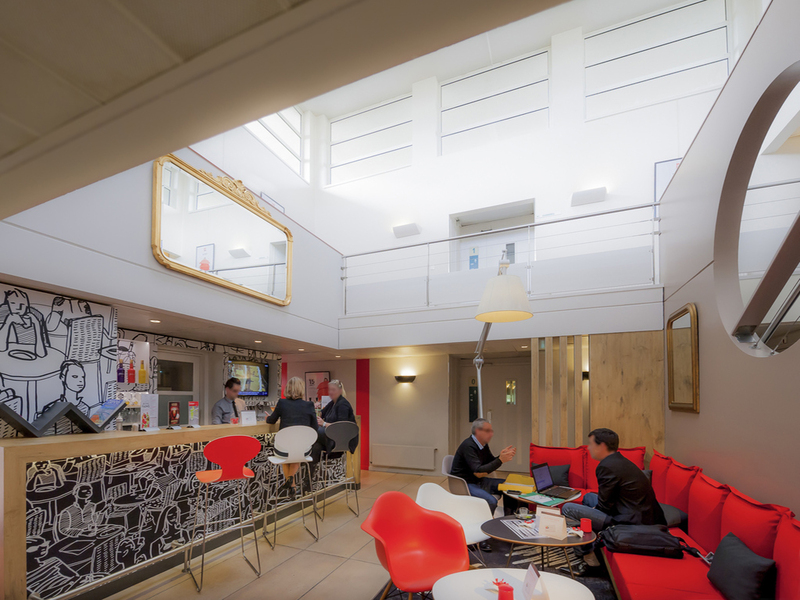 The hotel is located 15 minutes from the center of Nantes in a business park which is secured at night.The rooms are air-conditioned and there is free WIFI throughout the ho tel. Relax in a cozy hotel 10 minutes from the Exponantes exhibition center and the Stade de la Beaujoire.The hotel has a traditional restaurant and a charming terrace with outdoor swimming pool.24-hour reception and snack service. Near a golf course, the Erdre river and numerous castles. 10 mins from the Parc des Expositions and the 'stade de la Beaujoire' stadium. 5 miles from the Zénith concert venue.